Hard-pressed families would see their energy bills frozen for 20 months if Labour won the election, Ed Miliband promised today. The price freeze would save the average household £120 each and businesses £1,800 on electricity and gas bills. The freeze from the 2015 election until January 2017 would take some of the pressure off squeezed family budgets, which have suffered from years of soaring bills. Households spent an average of £1,339 on gas and electricity last year – an 85 per cent rise on the £710 spent in 2000. Gas bills rocketed by 119 per cent between 2000 and last year, while electricity bills rose by 47 per cent, when adjusted for inflation. Several energy companies have also warned in recent weeks that energy prices are set to rise further in time for the cold winter months. 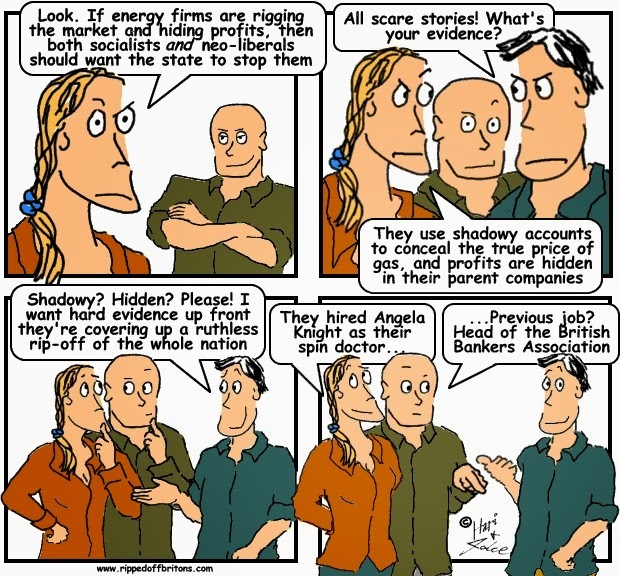 Mr Miliband also promised to scrap the energy watchdog Ofgem and use the 20 months to overhaul the competition and transparency rules to smash the dominance of the Big Six energy firms. Liebrary: Are energy companies rigging wholesale gas prices?